Professional development involves the various educational experiences that are available to working individuals. Teachers are not the only ones required to undergo regular training; lawyers, doctors, accountants, engineers, scientists, and many other positions also require professional development to ensure their skills are on the cutting-edge of their field. Why Is Professional Development Important for Teachers? Continued professional development for teachers is crucial for educators, because their application of new knowledge will directly affect students. According to Learning Forward, classroom achievement increases when teachers take part in development that is focused on addressing the major learning challenges of their students. Not only does this development help educators update their skills and hone their craft, but it also improves student success. There are two main forms of critical educator development: professional development and personal development planning. Both are necessary for teachers to reach their professional and personal goals, as well as to become more well-rounded educators. 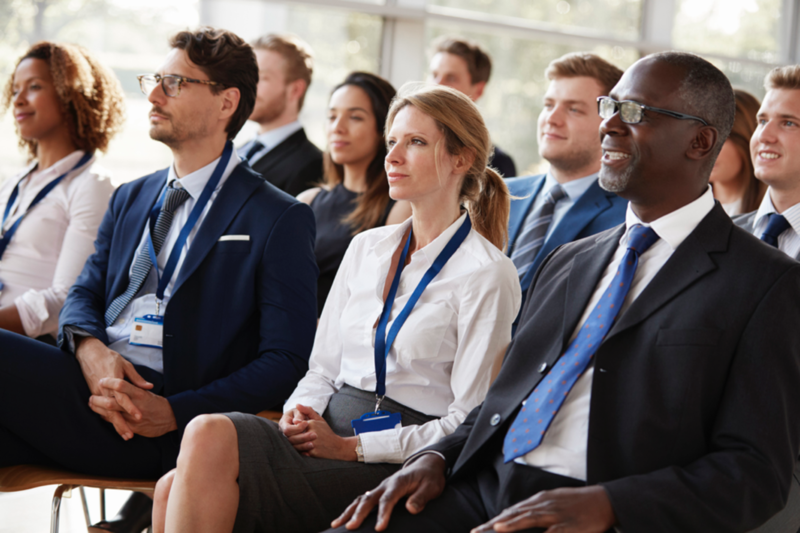 When thinking of professional development for educators, chances are the first things that come to mind involve conferences, seminars, and workshops. These types of collaborative learning environments are examples of external development opportunities. New teachers take years to gain the experience and skills to be effective in the classroom. During this initial phase of learning and evolution, many teachers may leave the profession because they think they are not accomplishing enough, or because of other educational factors. According to a recent study by the U.S. Department of Education (DoED), up to 17% of new teachers may leave within their first five years. However, development opportunities are an excellent resource for streamlining the profession’s initial learning curve and can even provide new teachers with more experienced mentors. The U.S. DoED study notes that of beginning teachers, those assigned first-year mentors were more likely to still be teaching over time. Clearly, taking advantage of educator development is often an important part of growing as a teacher. Luckily, there are numerous professional development resources available for educators. The LEAP program is a weekly teacher professional development cycle created by the District of Columbia Public Schools (DCPS). Each cycle has two parts: a 90-minute LEAP seminar and a LEAP coaching touch point, which is a one-on-one feedback session according to the DCPS. The DC Collaborative offers professional development workshops to all DC public and public charter school teachers. The series includes visual arts, humanities, music, dance, and theater and is focused on integrating those disciplines into applied teaching methods. External professional development opportunities represent exemplary opportunities for educators to improve their knowledge, teaching methods, and classroom application. Working in collaborative learning environments may also help compress the learning curve, especially for new educators, and serve as an ongoing source of valuable insight for more experienced teachers. The other form of professional development for teachers is personal development planning (PDP). This involves the personal professional goals that teachers set for themselves. PDP plans are based on setting objectives that are informed by past teaching evidence in the classroom. Perhaps a teacher has a difficult time with classroom management; the students are late for class, do not resect classroom property, or are too rowdy. This teacher might focus PDP goals on simple yet effective strategies, such as getting the children into their seats on time, and instituting calming methods to make the students more receptive to instruction. Another teacher may have difficulty reaching children who have different learning styles. This teacher’s PDP might include integrating more varied teaching methods, creating cross-curricular teams, or moving toward portfolio grading. To offer a more specific example, below is an in-depth illustration of a teacher’s PDP that focuses on a single area: integrating technology into lessons. For each professional goal, initial activity and follow-up activity, the teacher will also estimate how many hours will be devoted to each task, as well as note the progress or completion status of each goal. The PDP is a practical, research-verified approach to elevate teaching standards as well as document personal growth throughout a teacher’s classroom career. Continued professional development for teachers is important for educators who wish to raise their classroom effectiveness and stay abreast of new methods and technologies that are driving the teaching profession. Not only do teachers improve their instruction, but students realize higher achievement rates when teachers continually develop their professional repertoire. Whether attending conferences, seminars or workshops, or creating a personal development plan, the advancement of a teacher’s methods is really an improvement for everyone involved in the educational process: students, educators, and communities.